Located on the island of Murano, the Museum of Glass (Museo del Vetro) is an ancient palace of the bishops of the island of Torcello. 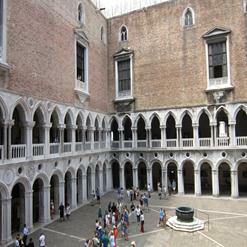 The museum was originally built in the Gothic style as a patrician's people, the traces of which remain in the column capital of the atrium and in the windows of the facade of the courtyard. It boasts the largest historical collection of Murano glass, including world-class masterpieces by artists such as Venini, Zecchin and Carlo Scarpa. The museum itself is a noteworthy 15th century mansion with a beautiful garden.